Selman & Associates, Ltd. originated as a small, privately owned mudlogging company in 1983 headquartered in Midland, Texas. Consistently building on 30 years of experience and continuing a tradition of outstanding services, our organization continues to earn a reputation of providing exceptional mudlogs and consistent services in many different plays in Texas, New Mexico, Colorado, Wyoming, Utah, Pennsylvania, and North Dakota. Since the company's inception, Selman & Associates, Ltd. has followed a simple business philosophy: To provide our clients with the best wellsite geological evaluation team, to be a pro-active partner in geological evaluation goals, and to provide professional customer service at a reasonable cost. Our ability to deliver our commitment to the clients we serve is evident by citing the exceptional level of repeat business over the years. Selman & Associates, Ltd. assures that each job is completed in a professional manner with client satisfaction as our ultimate goal. 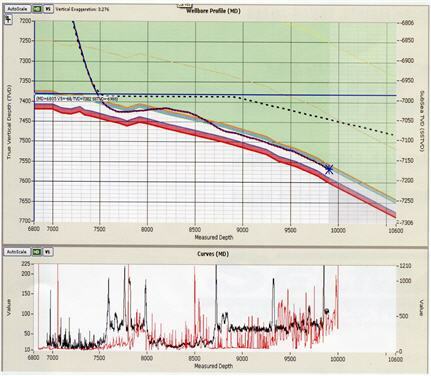 In early 2010, Selman & Associates, Ltd. initiated a development software program to improve GeoSteering and GeoNavigation techniques by leveraging our advanced computer technology targeting the need to enhance curve fitting and correlating techniques. The latest achievement from this ongoing research is our patent pending DSS (Dimensional Steering Services) computer software program. The DSS application generates three- dimensional (3-D) images far exceeding the industry's standard and produces reports to visually improve the use of actual, near-real time data acquired while drilling. The fact that Selman & Associates, Ltd. developed this software in-house within our own Research & Development department allows us to adjust the program to solve any operator's unique requirements. 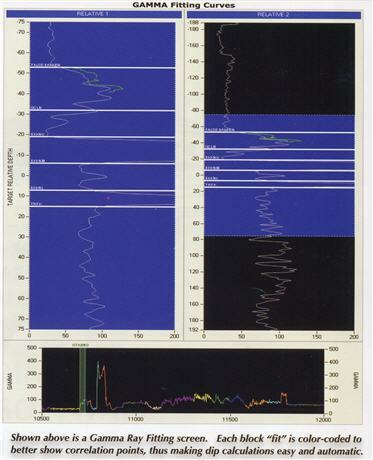 Since the 1990's, the industry's standard for Geosteering has produced a report that is flat, uninformative and unreadable for anyone lacking some required technical knowledge in the ﬁeld of oil and gas exploration and drilling. The old style spreadsheet reports have left some operators at a disadvantage when trying to drill their project and resulted in higher costs. Dimensional Steering Services software solves all of the shortcomings of many other software packages on the market today and in the foreseeable future. 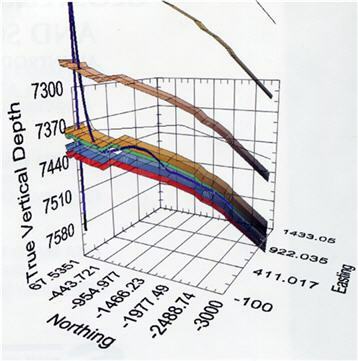 Shown here is a 3-Dimensional representation of the actual borehole drawn from survey data, gamma ray curve, and formation tops. Note the vertical pilot hole at the left, which was drilled and is plotted for reference to show deviation from true vertical. This is one of the many features that DSS software provides to aid our clients and Geosteering specialists visualize the landing of the well and to make adjustments in near ”reaI-time". Our report generation and the graphical representation of the acquired data are unmatched. Other ”over the counter" software applications in use by exploration departments have been seen as expensive, cumbersome, and lacking in features and advancements found in our Geosteering application. Other geosteering software packages only offer a very simplistic rendering that is plotted either along a x-y axis (TVD vs. MD) or along a z-y axis (MD vs. N/E). The implementation and displaying of a three- dimensional data set in various scenarios is a very powerful tool that helps the client visualize where the borehole lies in relation to formational horizons within the geological cross-section. This enables the client's geosteering team, drilling engineers, geologists, completion/production teams, and other organizational members to quickly grasp small changes that could affect proper borehole placement. "Staying on target within the payzone" can be accomplished easily even in areas where very complex geological/structural features exist. Structural features that are very faulted or otherwise dipping and turning faster than the original borehole plan are seen in greater detail using the DSS software. Our logging engineers, geologists, and supporting crew have extensive in-house training on formation evaluation, geological interpretation, structural geology, geochemistry, and drilling procedures. Selman & Associates, Ltd. has always and will continue to place a priority in their personnel. Based on various levels of geological need, our clients receive customized service from DSS crewmembers. The success of our Dimensional Steering Services is achieved thru assisting our clients with our highly trained crews who observe, collect, assimilate, and interpret the drilling data. Our reports enable our clients to easily comprehend sand interpret this data thus making maximum use of the information acquired while drilling. ©2019 Selman & Associates, Ltd. All Rights Reserved.